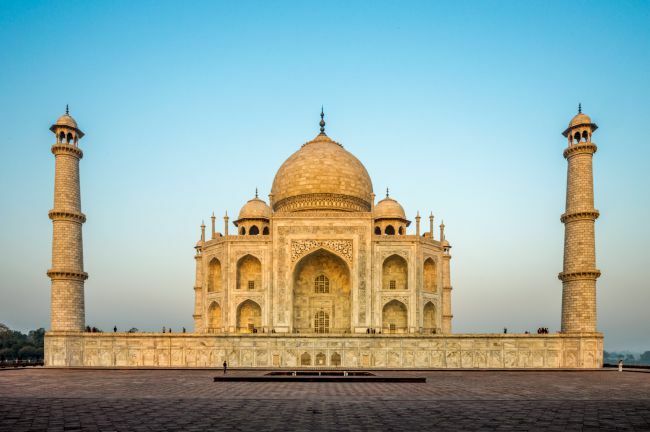 Taj Mahal – One of the seven wonders of the world, a beautiful prose written in white marble and an eternal testimony to one of the greatest love stories ever told in this world. 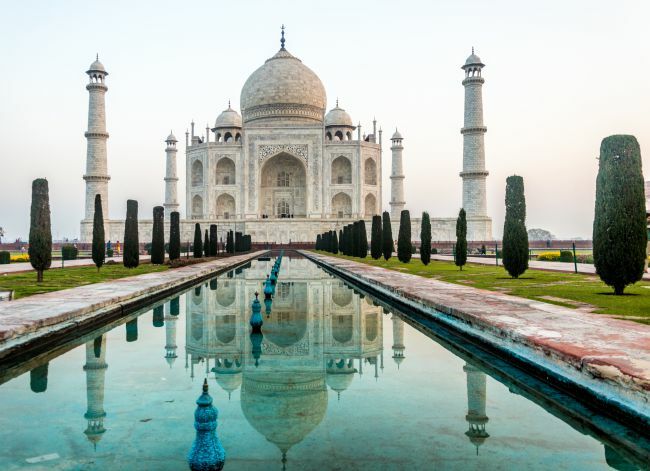 Taj Mahal is thronged by visitors from all over the world throughout the year. 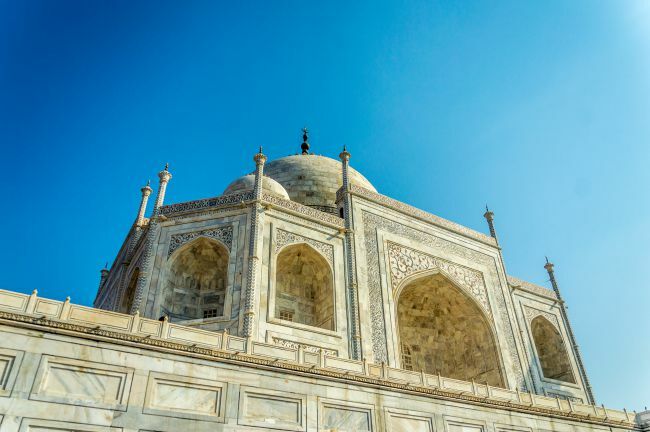 Taj Mahal is open from Sunrise to Sunset all days except Fridays. 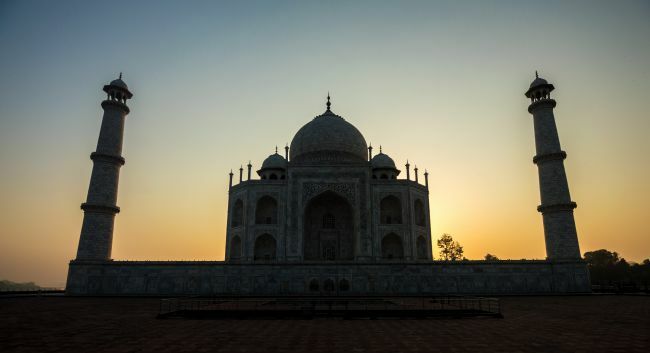 But the best time to see Taj Mahal is during the sunrise. 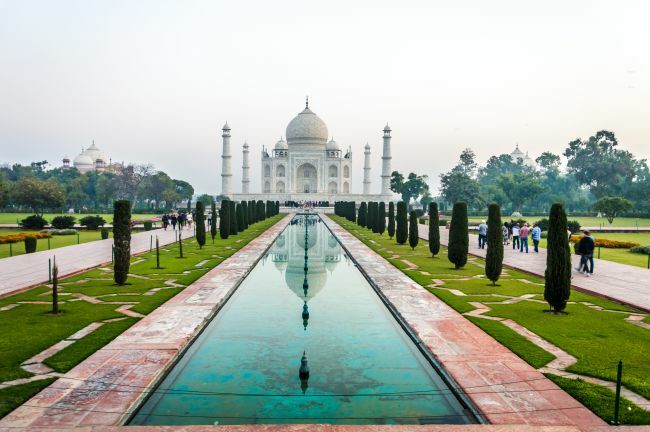 During these hours, only some serious visitors come to Taj and the rush is less. 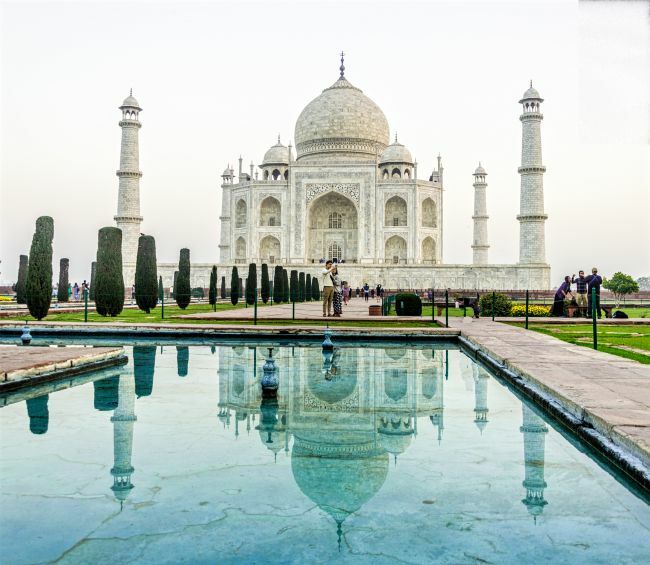 The fountains in the front of Taj are not run for an initial two hours offering a clear reflection of Taj Mahal in the water channels. 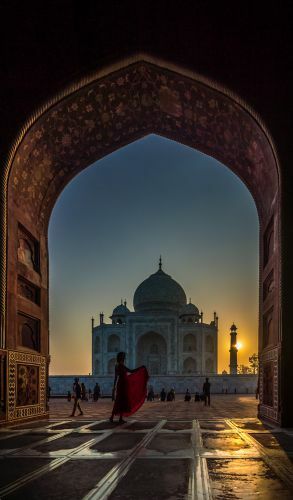 The light from rising Sun lights up the Taj very softly rendering a soft golden colour to Taj Mahal. 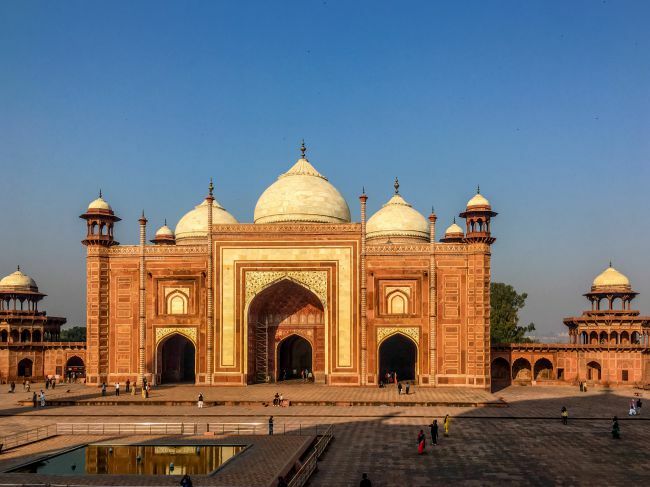 This soft golden colour becomes very harsh when one visits Taj Mahal during day time. 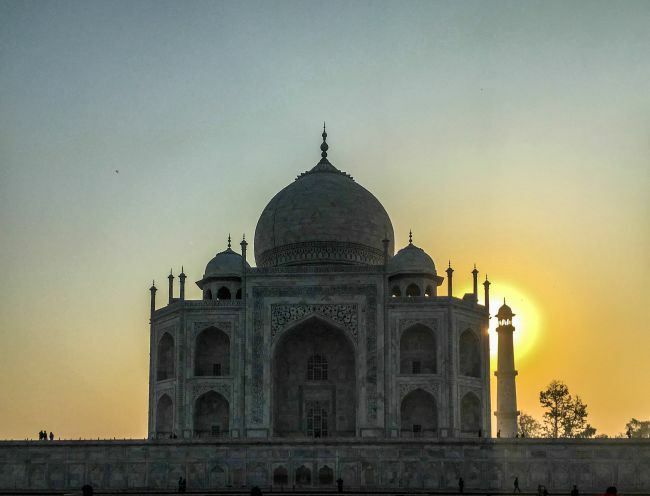 During our recent visit to Taj Mahal, we also decided to visit Taj Mahal at Sunrise. 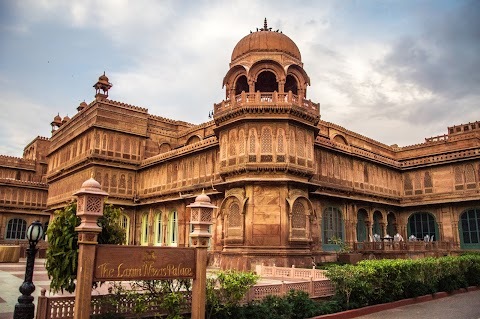 We had booked the hotel, which was only 150 meters from Taj west gate. By 5.30 we left the hotel and were among the very first visitors to join the queue. We had already purchased the tickets online. 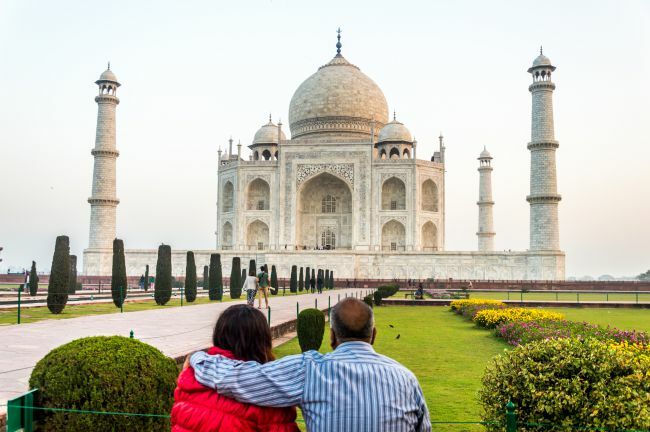 The security of Taj is the responsibility of CISF. After thorough checking, we were let inside. No eatables, cold drinks, tripods, cigarettes etc are allowed inside. I had a small tripod inside my camera bag, and was detected in bag scanner, so I had to run back to the hotel to leave it at the reception. 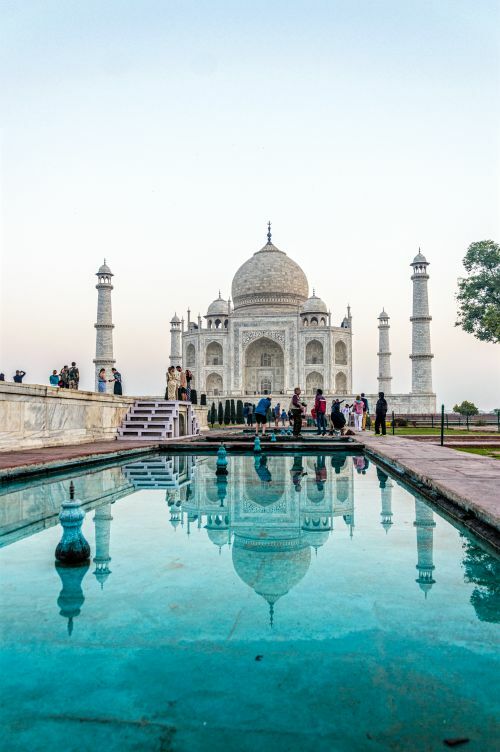 I would not go into the history or any other legends about Taj as everybody knows its story and post a few photographs, which I clicked. The sunlight falling from the right is giving a pinkish yellow colour to the dome. 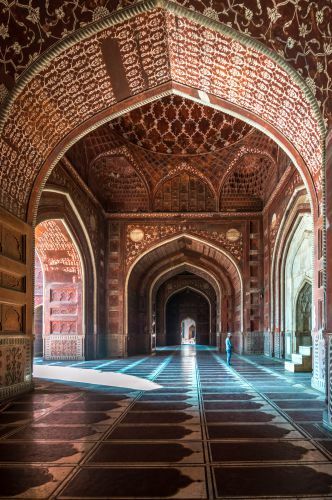 Mughals were fanatic about the perfect symmetry in their buildings. 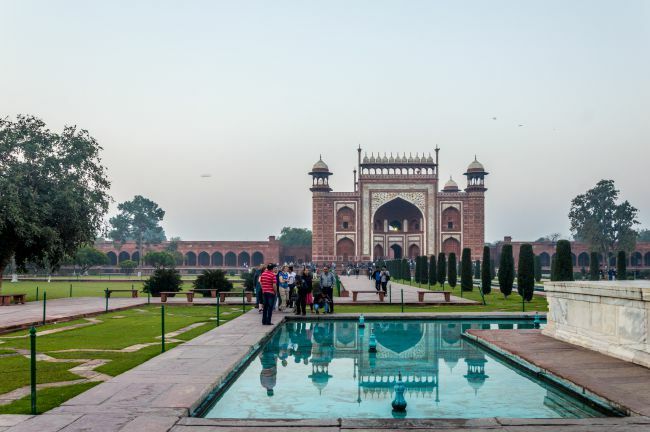 Be it the gardens laid by them in charbagh style or the buildings built by them. The right-hand side is always an exact replica of the left-hand side. 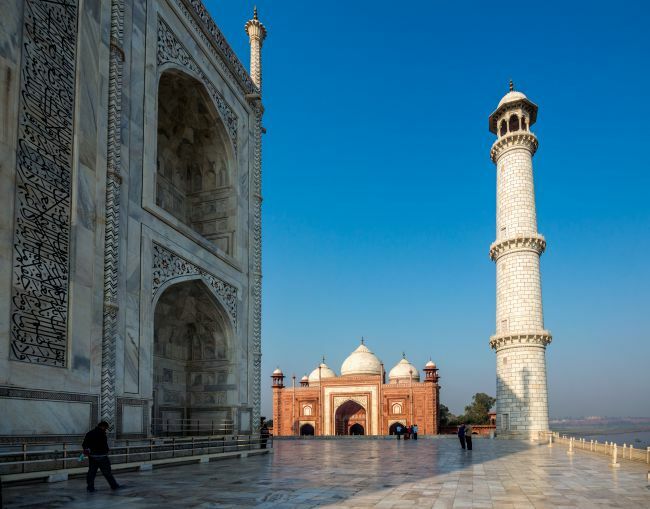 here also two similar buildings are built on both the sides of Taj. 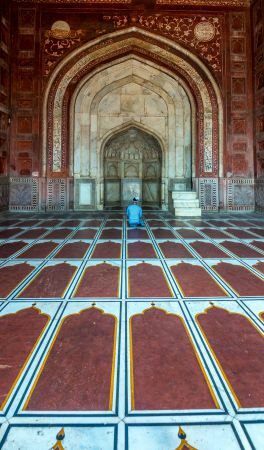 While the one on the left-hand side is a mosque, the one on the right used to serve as Mehmaan Khana or the guest house for the royal visitors. 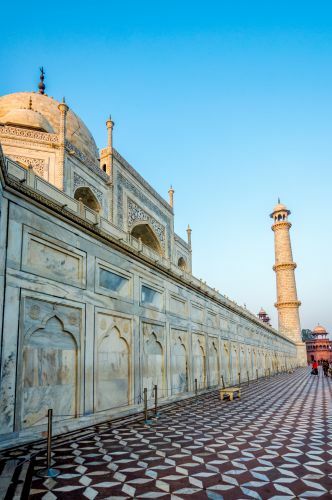 The rays of the rising sun drench The Taj Mahal in the shot above when viewed from the right-hand side. 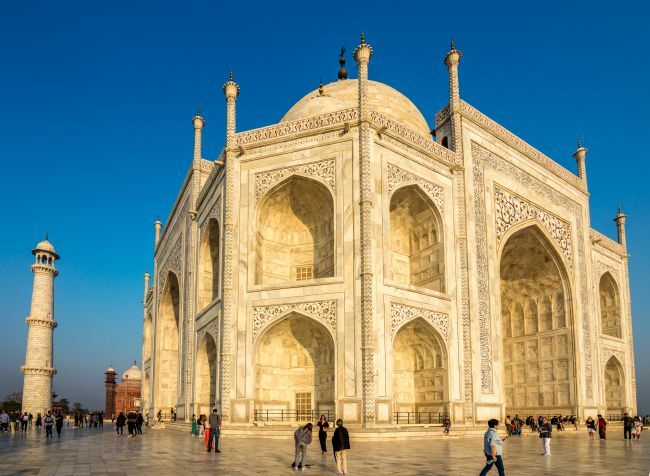 While viewing from the front, Taj looked white from the right-hand side it wears a tint of golden yellow colour with a hint of Pink. The above two shots are on the back side of Taj Mahal. 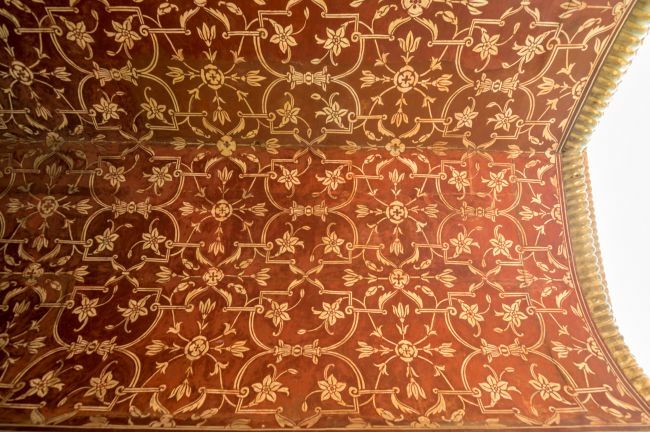 The floor has a beautiful pattern using marble and red sand stone. 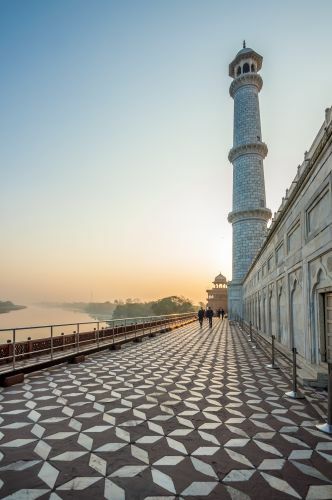 First shot is from Eastern end of corridor and the second one is from western end of teh corridor and river Yamuna can also be seen. 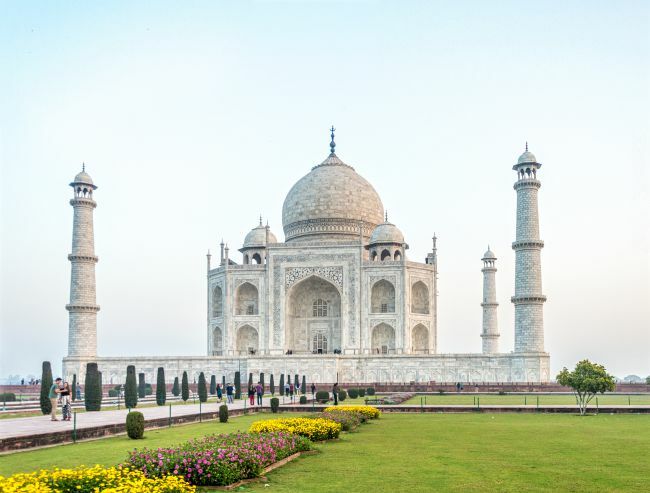 The most spectacular views of Taj Mahal are offered when we reach on the western facade of the Taj Mahal. 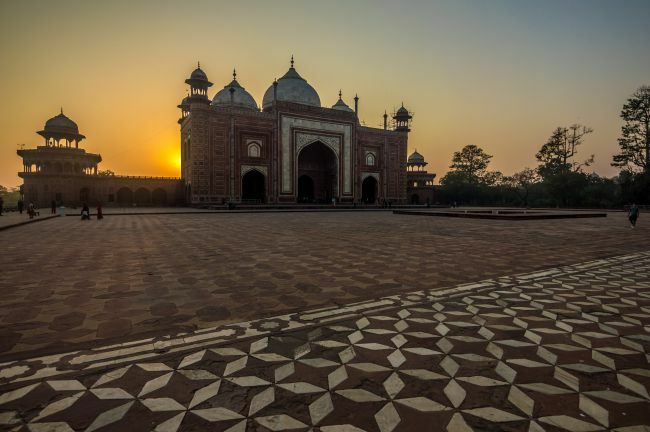 The Sun rising behind the Taj Mahal creates a magical spell and the beautiful arches of the Mosque add another dimension to the beauty of Taj Mahal. 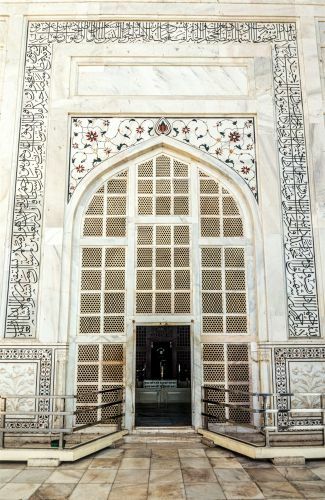 The gates of the mausoleum have the holy verses engraved on them and beautiful floral patterns have been created using stone inlay work and the dome inside each gate is in the diamond pattern. 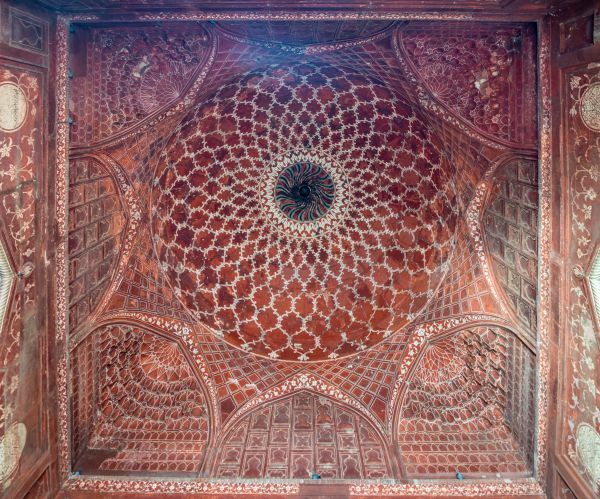 We spent full four hours inside the Taj Mahal. These four hours were filled with Fun , awe and an emotional rollercoaster. How did you like this post, was it interesting, or so boring that you dozed off a no of times. Do let me know by commenting in the comments section below. 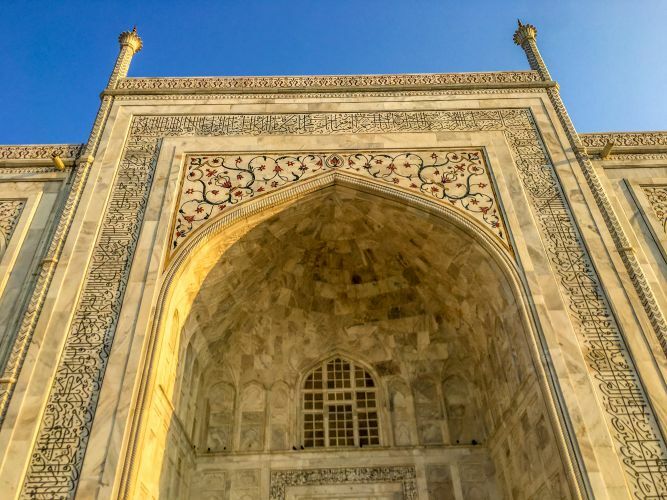 To get the regular blog posts from My Travel Story, please subscribe by entering your E-mail address or just pressing the follow button below. You can follow me on Facebook, Instagram, Pinterest, as well as on Twitter.